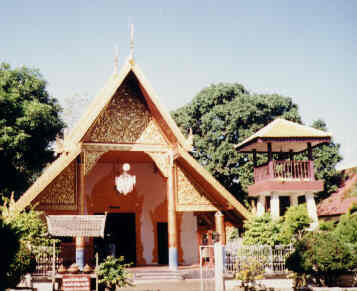 Wat Phra That Chom Thong is located on Doi Chom Thong in Chiang Rai. 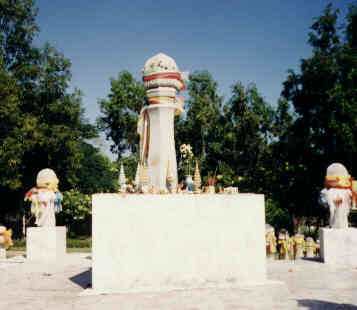 Sala Chao Pho Doi Thong and Saan Phaphum Khong Wat Phra That Chom Thong are also located on Doi Chom Thong. Photo: Vinharn of Wat Phrathat Chom Thong in Chiang Rai. 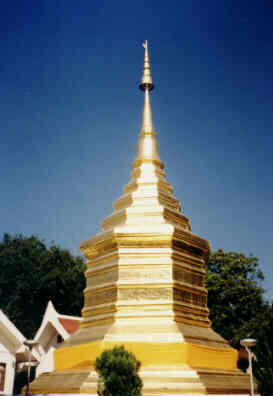 Photo: Chedi of Wat Phrathat Chom Thong in Chiang Rai. Photo: Wat Phrathat Chom Thong, Buddha images inside. 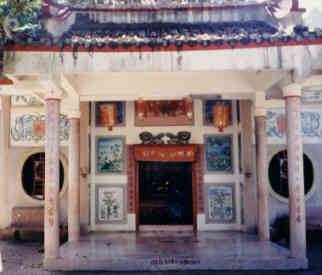 Photo: Wat Phrathat Chom Thong, mural paintings inside. 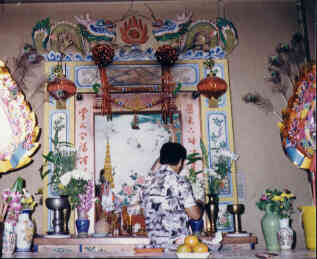 Photo: Saan Phaphum Chong Wat Phrathat Chom Thong, picture 1. 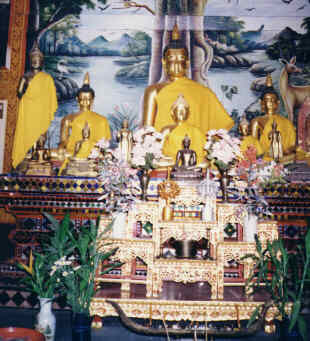 Photo: Saan Phaphum Chong Wat Phrathat Chom Thong, picture 2. 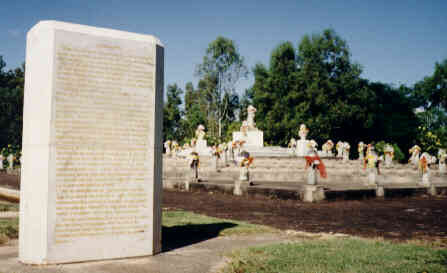 Photo: Saan Phaphum Khong Wat Phrathat Chom Thong, picture 3. Photo: Sala Chao Pho Doi Thong, outside. Photo: Sala Chao Pho Doi Thong, inside. Thailand online is constantly under construction. Please come back again to enjoy the Best of Thailand! Diese Seite wurde am 15. Oktober 1996 gestaltet und zuletzt am 17. Januar 2004 aktualisiert. 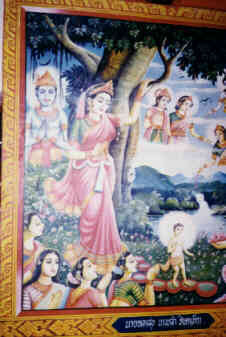 This page was created on October 15, 1996 and last updated on January 17, 2004.